I am quite fussy about what I put in my body, so over the last few weeks I have been researching and studying the ingredients of Shakeology®. Shakeology has had such a huge impact on our health and nutrition, and both Rob and myself have been amazed by our results, so I decided to start researching each ingredient in order to educate myself about what is actually inside these health shakes and all the benefits they have to offer. I have already shared what I have learnt about Himalayan Pink Salt, as well Adaptogens – “The Elixirs of Life,” so this week I did more research on prebiotics, probiotics, and their benefits. First off, what are prebiotics and probiotics? 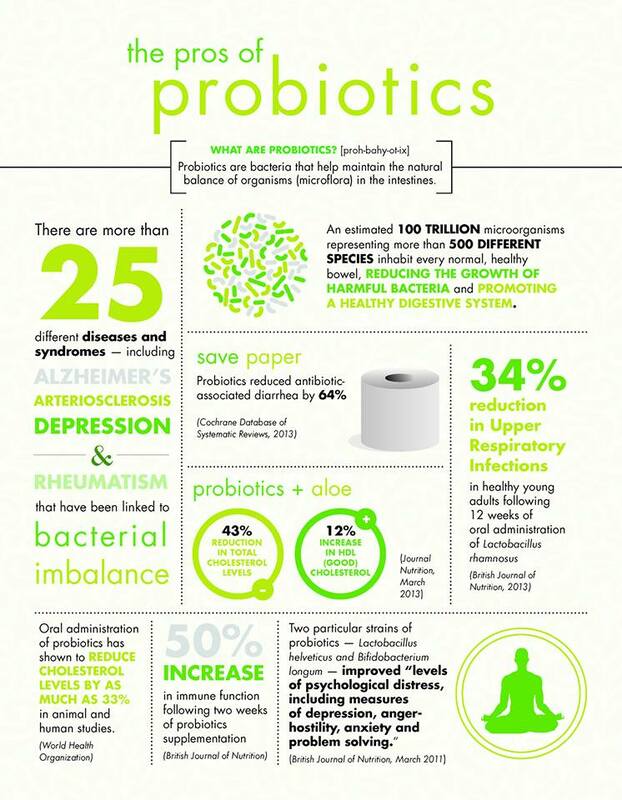 Probiotics are microorganisms that help with digestion and offer protection from harmful bacteria. Prebiotics are nondigestible carbohydrates that act as food for probiotics. Prebiotics may improve gastrointestinal (GI) health as well as potentially enhance calcium absorption. When probiotics and prebiotics are combined, they form a synbiotic (this term is used when a product contains both probiotics and prebiotics). Lactobacillus Sporogenes: This strain builds spores, which allows for ease of travel through the GI tract. It also helps regulate unusual and irregular digestive issues. Lactobacillus Acidopholus, Casei and Rhamnosus: These three strains are found in the small intestine and aid in regulating digestive function. Bifidobacterium Bifidum and Longum: These two strains are found primarily in the colon, and are best know for helping the absorption of vitamins. They are crucial in GI tract function and improved immune and digestive system function. Shakeology is a good source of both pre- and probiotics, which is what led me to research them further. It will help to improve your digestion, keep you regular, and can even help lower your cholesterol. If you are interested in trying Shakeology risk free for 30 days, message me or email me and I will send you more information.